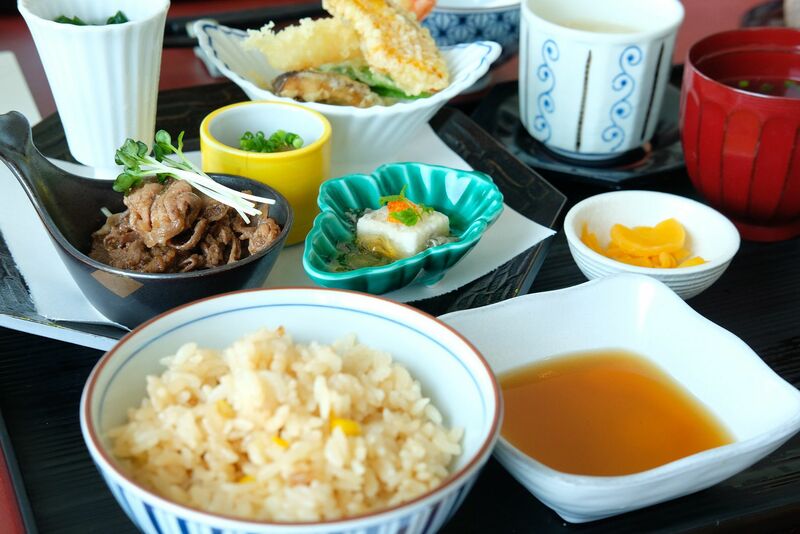 NAMI - Best Dashi-Focused Set Lunches for just $35! 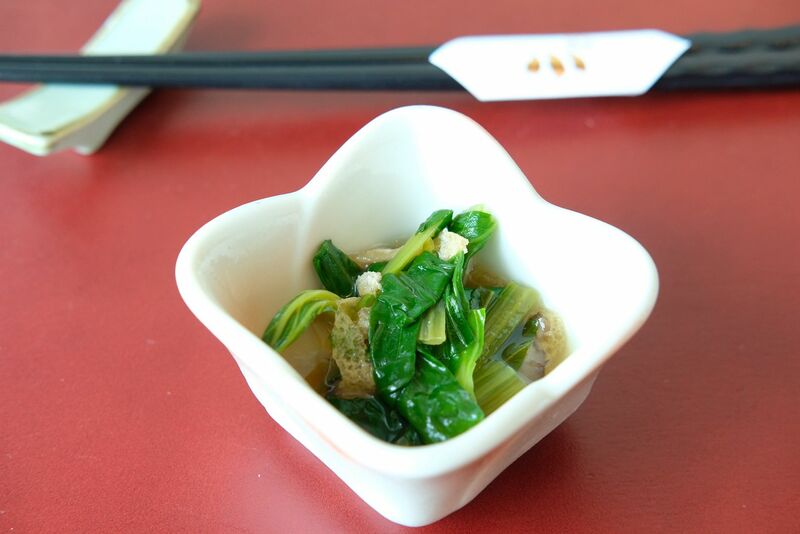 Do you know that dashi is the broth of life, and basically the backbone of Japanese cuisine? It takes years of practice, and a very refined palate to concoct the most well-balanced dashi. NAMI calls upon all who have a discerning palate to come and have a taste of the 8 different types of dashi prepared by Dashi Master, Chef Shigeo, using meticulous age-old methods. And there's no better time to pop by, than lunchtime, because the value-for-money lunch sets will have you jumping for joy. I had the NAMI Special Gozen($35) which comes with seasonal appetizers, Pan-fried Beef marinated with Niban-Urume dashi, assorted tempura with warm Niban-Kombu dashi dipping sauce, chawanmushi with Niban Dashi, rice with seasonal Hokkaido corn, Niban-Jako miso soup and pickles in Niban Dashi. Just one look at this set and you'll know that it's pretty comprehensive. 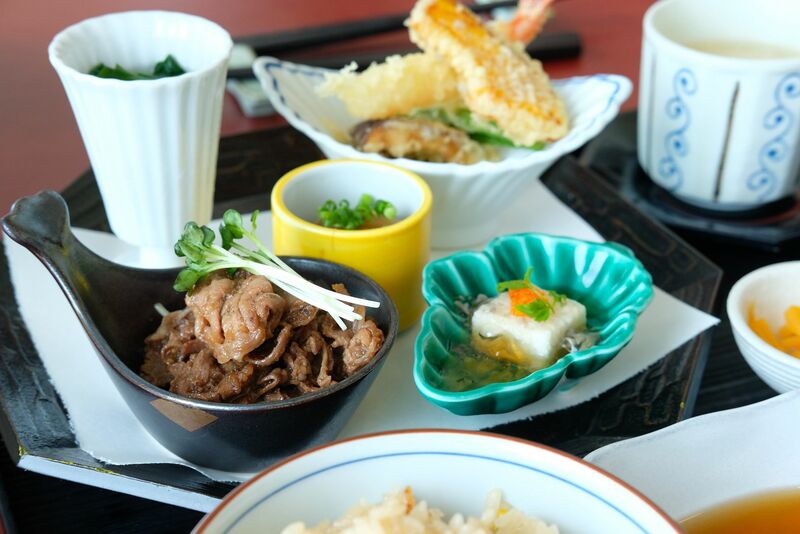 You have all the hot favourites such as chawanmushi, tempura, and beef. This is the second time that I'm having tempura at NAMI and I really love how light and crisp the batter was. Needless to say, the thin slices of beef were yummy, and paired excellently with the fluffy rice. All in all, it was a very satisfying meal. I've to warn you though, if you're one who loves heavy and intense flavours, you might not enjoy what NAMI has to offer as much. The flavours here are lighter, but very balanced such that diners can taste the essence of Japan through the different types of dashi. Craving for a noodle dish instead? 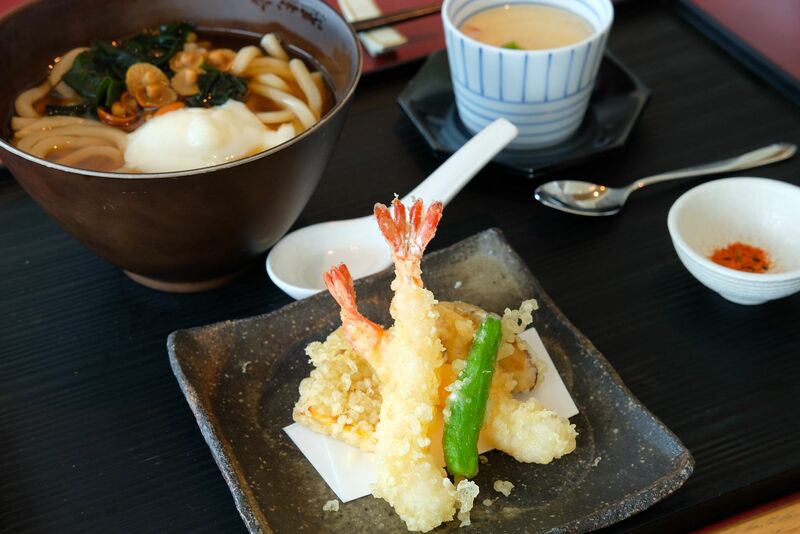 The Tempura Udon Gozen($35) or Tempura Soba Gozen($35), which come in both hot and cold versions, might be just what you're looking for. The udon, or soba, sit in a Niban Dashi broth, and is accompanied by a poached egg, wakame and Shimeji mushrooms. The set is completed with seasonal appetizers, assorted tempura, chawanmushi and icecream. The set lunch concludes with a scoop of icecream. 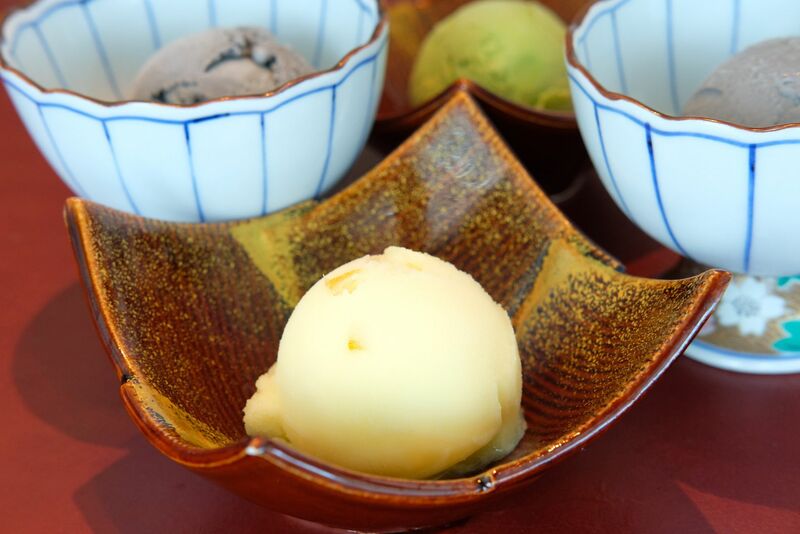 The goma, yuzu and matcha icecream earned praises all round the table! We were also treated to a sashimi dish that comes with dashi jelly. Refreshing, and appetite-whetting! If the lunch sets did not tickle your fancy, I'm sure this lovely bowl will! 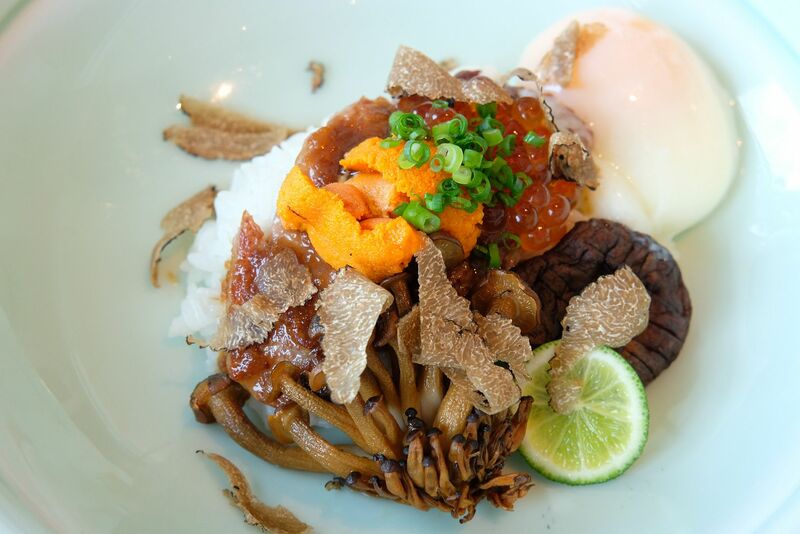 An immaculate combination of Japanese Saga Wagyu beef sirloin A4, sea urchin, rice, Chef Akiba's special sauce and seasonal truffle($75) just can't go wrong. Everything that I love in a dish? I'm sold. The Tilefish with Grated Radish Sauce($85) was a real treat. I think this was the first time that I'm trying tilefish! The flesh was firm, but tender, and held a very mild flavour. This was quite the perfect fish to use in this dish, because it actually brought out the light flavours of the sauce that it sat in. 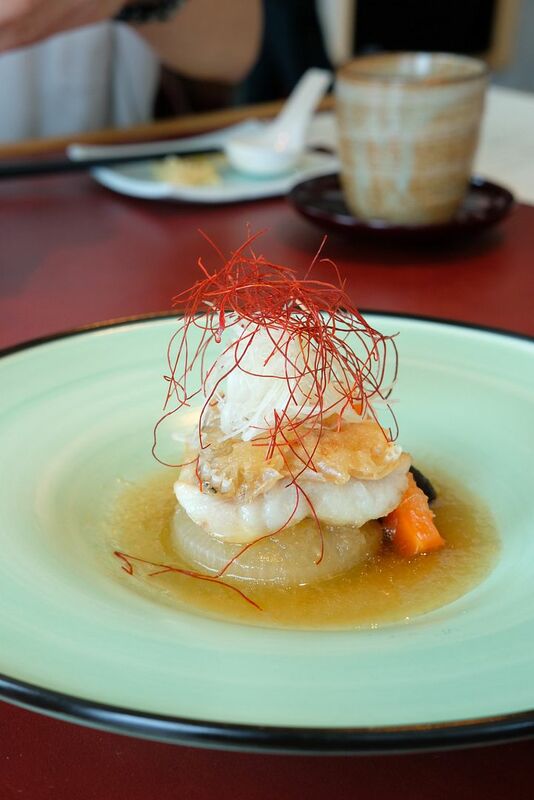 Wonderfully fresh, the tilefish was armed with a subtle sweetness when savoured together with the sauce. I'm not really a fish person, so you gotta trust me when I tell you that a fish dish is exceptional. 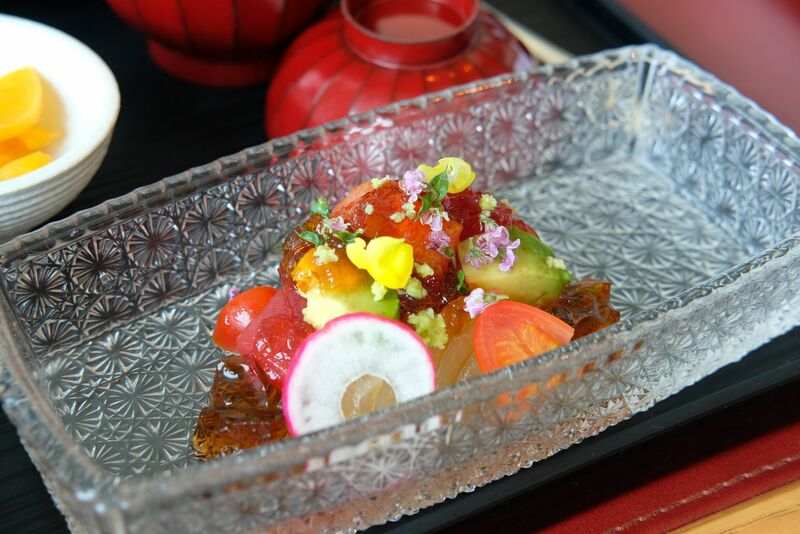 Dedicated to preserving the ancient tradition of dashi-making, NAMI pushes out dishes that make diners appreciate the very heart of Japanese cuisine. The next time you're thinking of having a great lunch, consider NAMI.